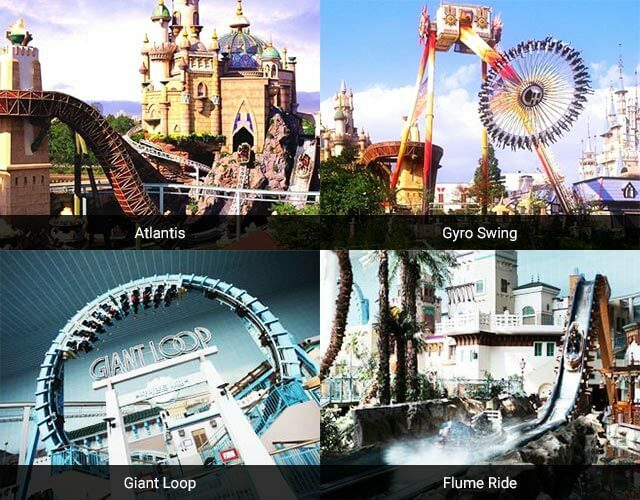 Lotte World, located in the center of Seoul, is the theme park that has concepts of adventure and mysterious world. “Adventure,” indoor park, and “Magic Island,” outdoor park, include various rides, a large ice rink, performances, and four different types of parades in each year that you will enjoy and get romantic mood. Not only that, Lotte World is connected to an indoor Korean folk museum, featuring Korean traditional culture and histories. Lotte World is also a very popular venue for filming Korean entertainment shows and dramas. Some of the examples are Full House and Stairs of Heaven, popular TV drama. 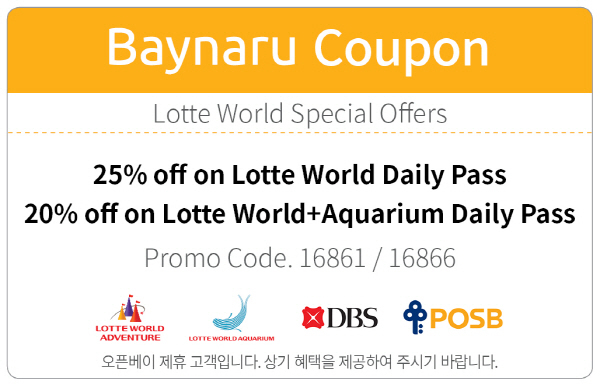 Lotte World Aquarium, which dreams of a happy world where humans and nature live in harmony. we have put away all previous standards and started again from square one from the perspective of marine life and you. 13 Themes in Five Oceans of the World - You can experience the special encounter with the marine animals in various theme zones where the oceans from all over the world are exactly realized. Walking Along the Ecosystem - River to Coast, Coast to Sea. Experience the wonder of nature by walking along the flow of the ecosystem. A Vivid Place for Learning - We deliver the pleasure of living together with marine animals through 14 experience education programs, the largest offered in Korea. Get off at Jamsil Station (Seoul Subway Line 2, 8) and go to Exit 4. There is also a direct underground access to Lotte World from Jamsil subway station. Show this note to a taxi driver - 잠실 롯데월드 남문 입구로 가주세요.